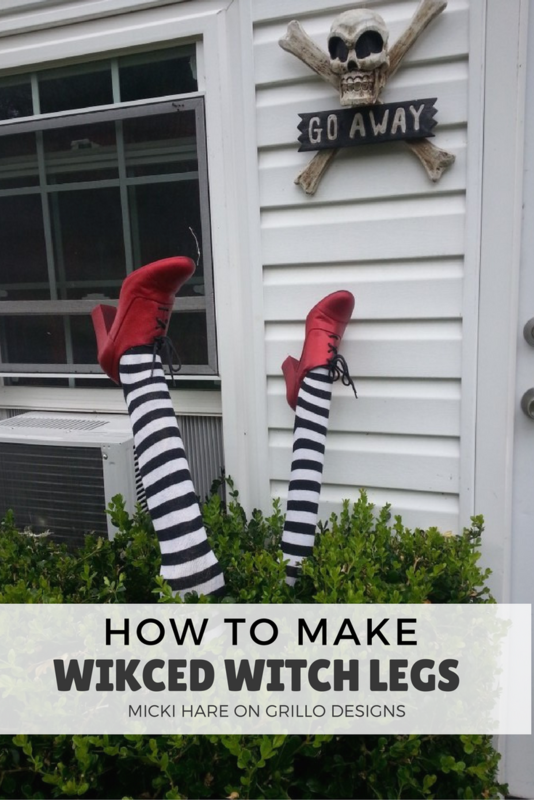 This Wicked Witch Leg tutorial was submitted by Micki Hares from A Whim and A Prayer Custom Creations. 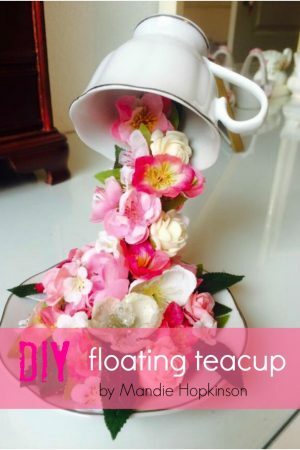 Micki is also a member of our Home Decorating, Upcycling and DIY Facebook group. If you would like to share a project to be featured on this site, you can do so here. 1. 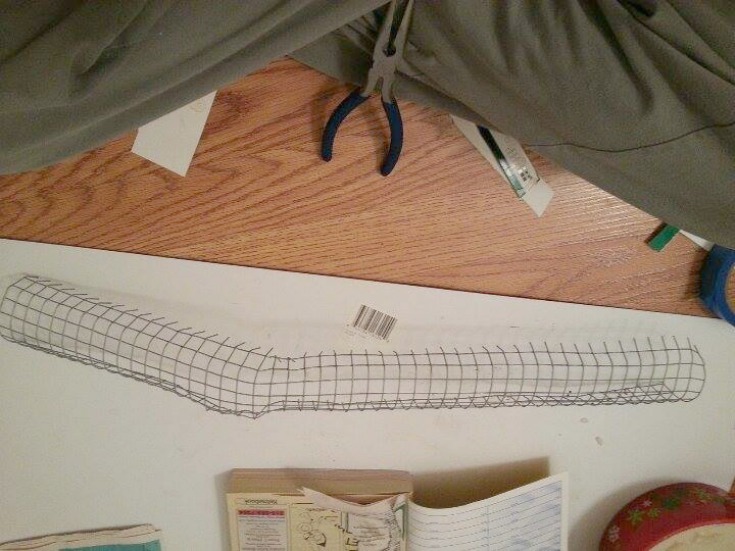 I first cut scrap chicken wire to the length of legs. Making sure to add extra for “knee bend”. 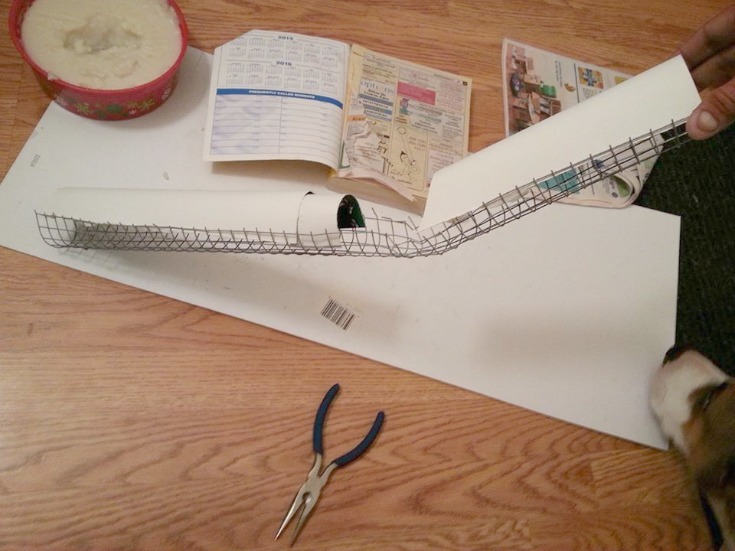 I Then used scrap cardboard to create back section of the leg. 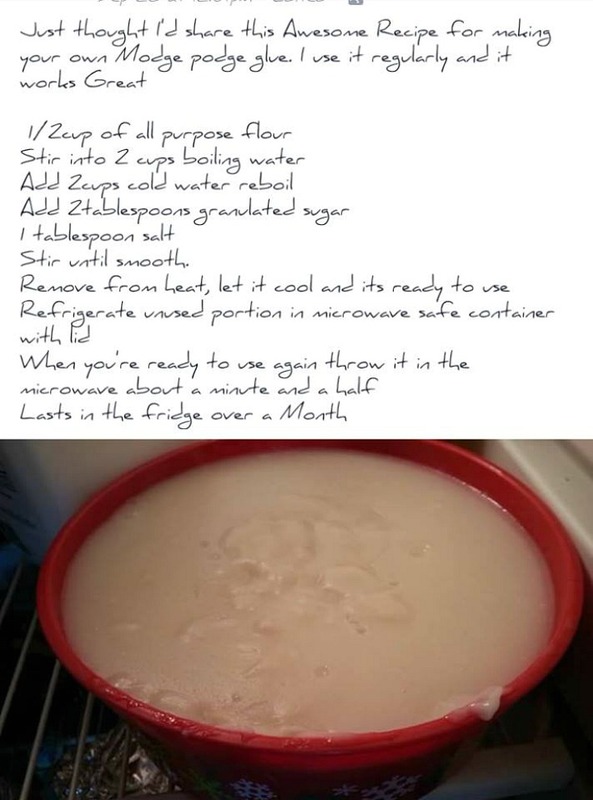 2.I made my own modpodge glue with the below recipe. 3. 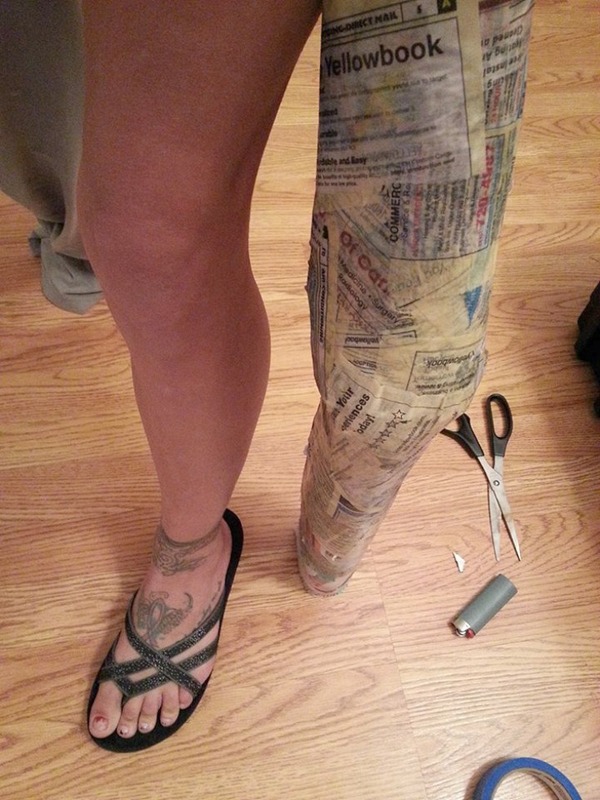 I then used newspaper and old phone book pages to paper mache around the legs and then left to dry overnight. 5. I cut a small scrap piece of wood to fit inside the shoe. 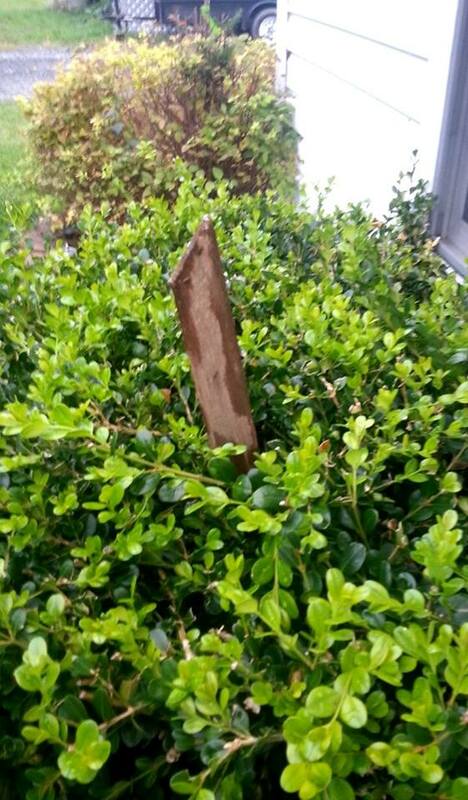 7.I placed two pieces of scrap wood into the hedges and flipped the legs upside down onto the scrap wood stakes. They provided sturdiness and allow the legs to stay upright in position instead of falling into the hedges. 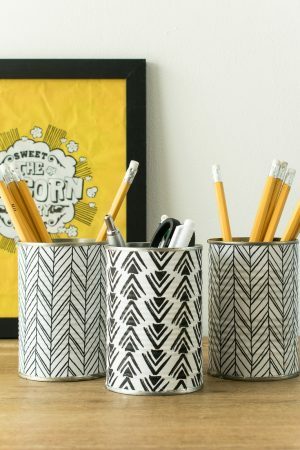 THIS BLOG HAS RECENTLY BEEN VOTED FOR BEST HOME AND DIY BLOG – I would love if you could spare a moment to vote for me here! Thank you! 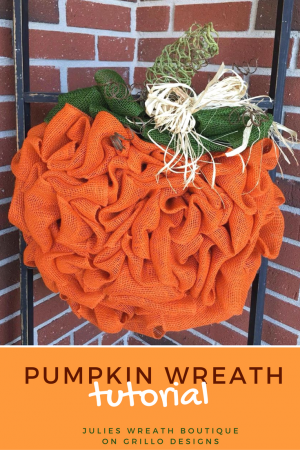 HOW TO MAKE A PUMPKIN WREATH FOR YOUR DOOR! Wow thanks so much for the vote Christy! This is so quirky! Love it! 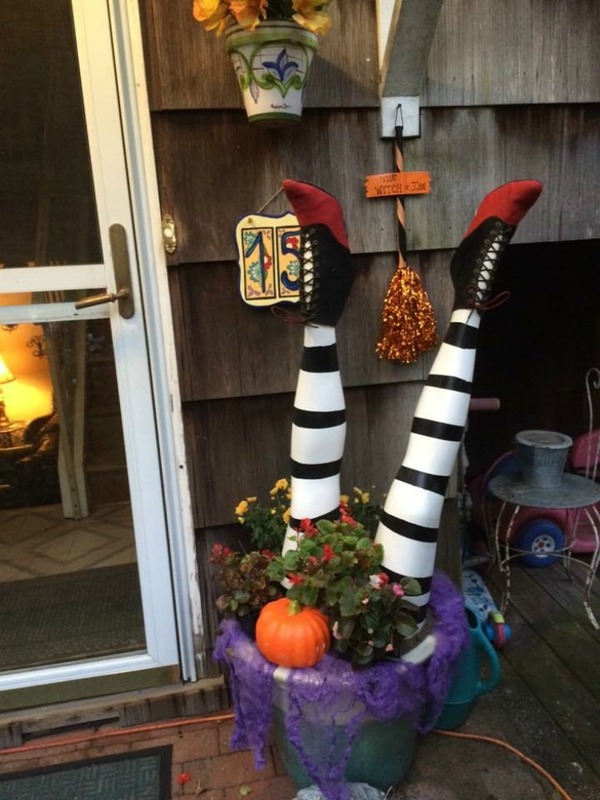 Perfect for all Wizard of OZ & Wicked fans!! 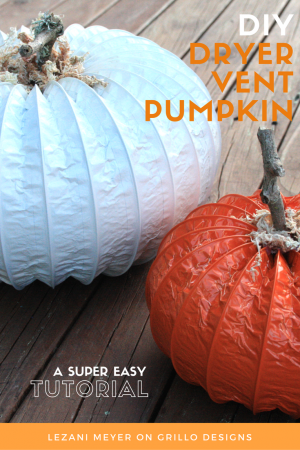 Pingback: Dryer Vent Pumpkin Tutorial - Perfect For Fall! 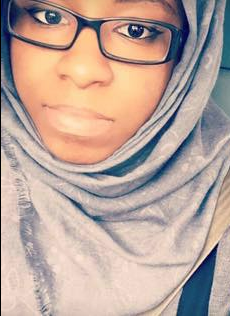 As far as I care, you are GREAT and would love to meet you and go to your classes. I was just curious are these waterproof? Did you put something on the paperbacks? I love these!! 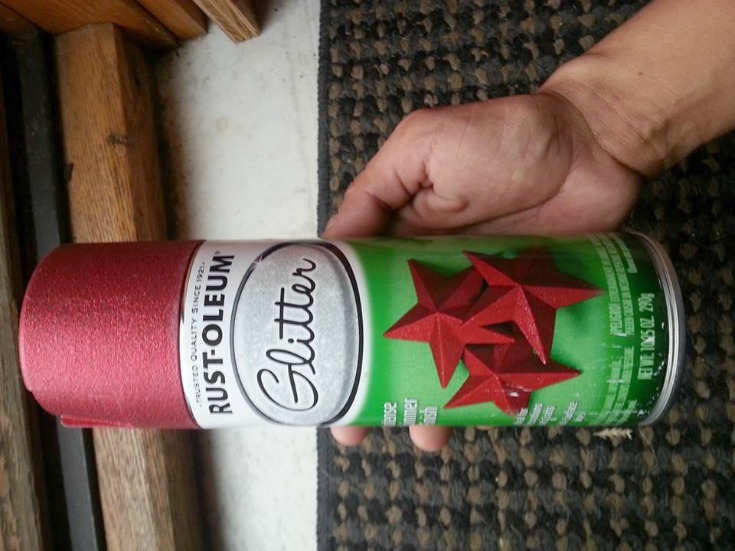 And, I’m pretty sure it is exactly what my front porch needs. 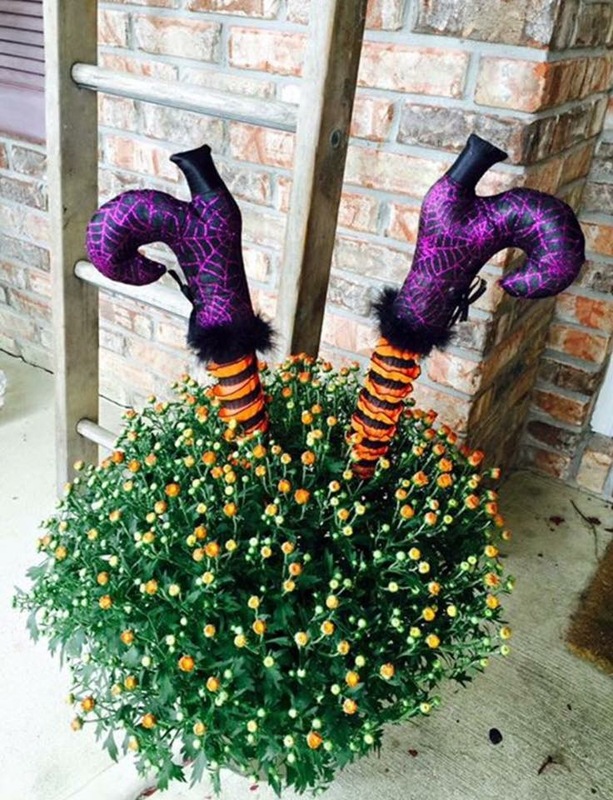 I found my halloween project! Love these! So cute and clever! That is seriously cool. I’ve seen stuffed socks with shoes looking like it’s coming out from under a house- but upside down in the bushes?? Above and beyond. Bravo. I am not sure why, but since I was a little kid, I have never liked the Wizard of Oz. With that said, I absolutely love your witch legs! My husband puts out a life-like replica of himself sitting in a chair with a mask on. It always creeps out the kids because it looks so real. Well done! These are so fun! Thanks for the tutorial! They look so cute. I love them. Omg so cute. How long did it take? I must do this for my house. These took only a couple hours of actual work time. 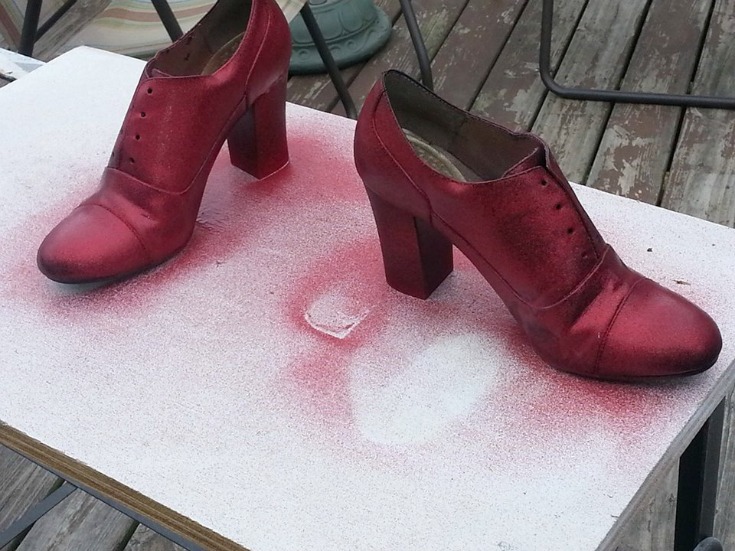 I did let the paper mache cure over night before putting them in the socks just to make sure they were fully dry first.